Community based and community minded, Polson and Ronan Ambulance Service’s are here to serve our neighbors, friends, and family. 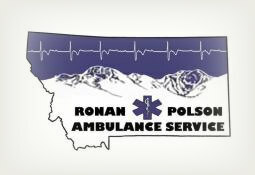 Polson and Ronan Ambulance Services are located in the heart of western Montana. The services provide Lake County with unsurpassed pre-hospital care. Offering 911 emergency responses, inter-facility transfers, and arranged care transport. Polson and Ronan ambulance specialize in: critical care, advanced life support, and basic life support. We service hospitals, convalescents, physicians, fire departments and private/public events. A top quality assurance program ensures that best care practices and standards are provided to every patient. We work jointly with surrounding services and communities to give a seamless system of care. The services provide care to neighbors, friends, and family as well as anyone in need. A major corridor for travelers, tourists, commercial vehicles and recreationist, the valley attracts a wide variety of medical and traumatic situations. We take great pride in a complete and efficient health care system giving the best care possible to our patients. Need ambulance for event standby?